Hey there, blog friends! It's a busy week on my blog!! I was asked earlier in the month to do a couple of guest design spots on the My Favorite Things blog, and my first blog post is up tonight! Valentine's Day is right around the corner, but I think it is important to give love notes to your special someone all throughout the year! So for my card today I created a love card without a Valentine's Day theme to it. 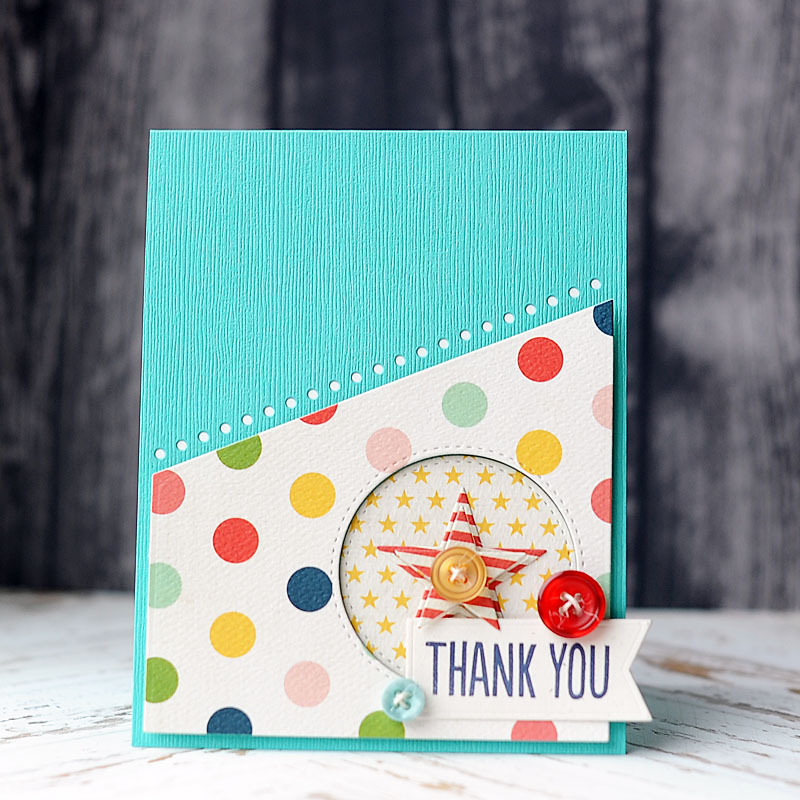 I've paired a Webster's Pages 4x6 card with some MFT stamps to create this sweet card! 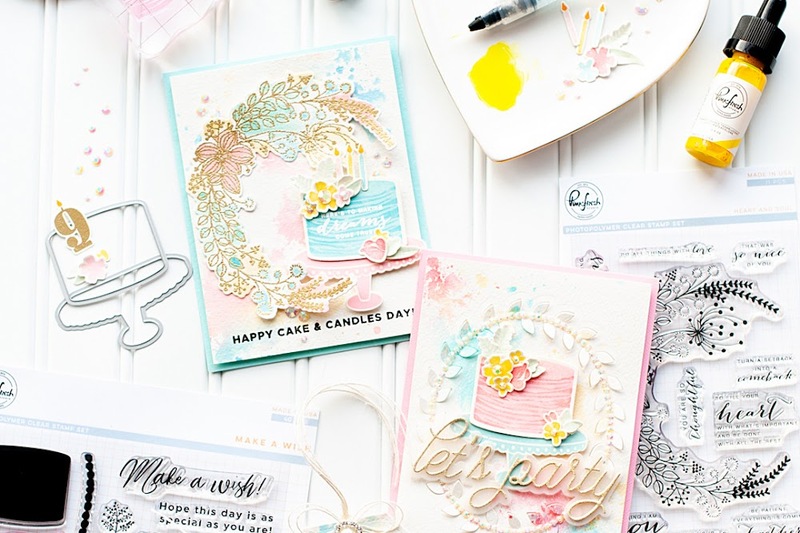 One of my favorite things to do is pair stamping with scrapbooking product in order to further the thought behind the sentiment. 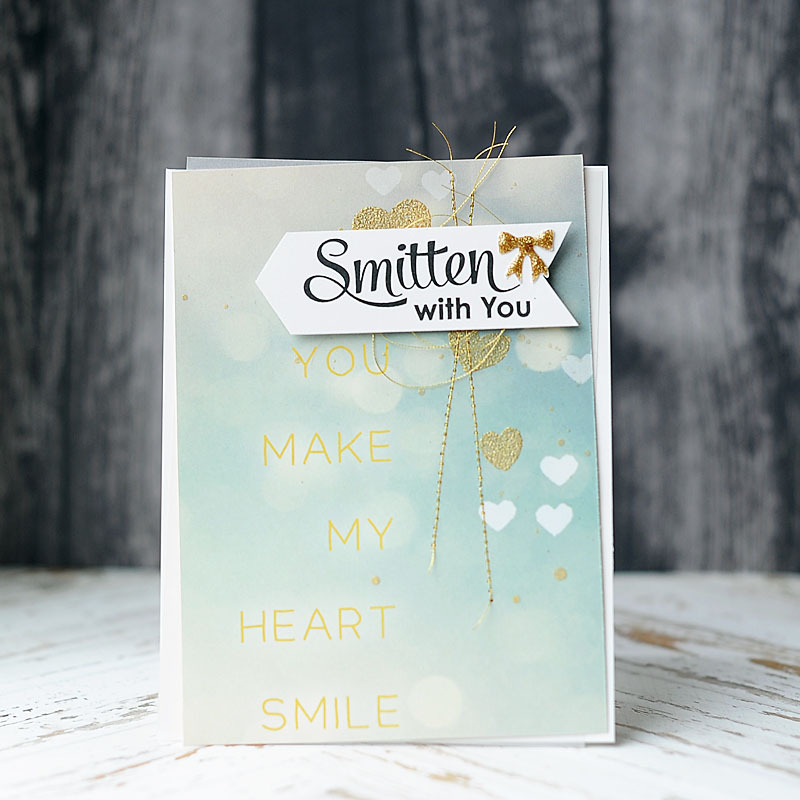 Make A2 card from MFT smooth white cardstock. Trim a 4x6 card & vellum block slightly smaller, and layer together. 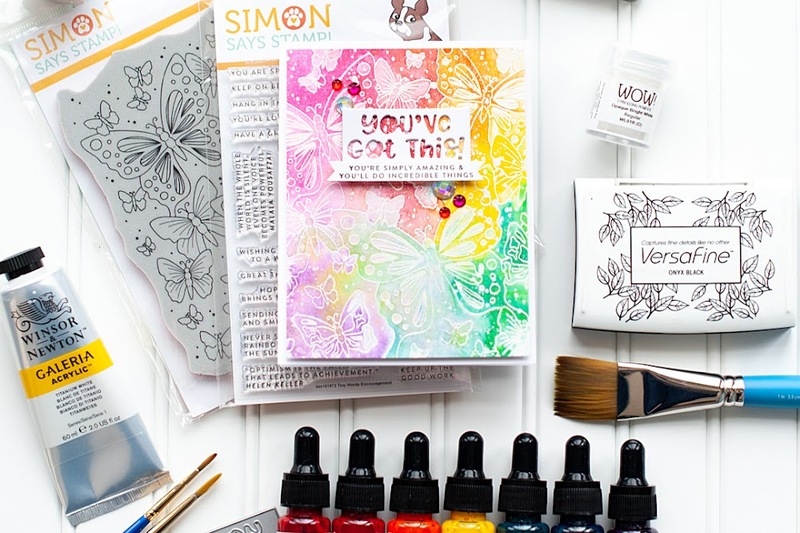 Stamp the hearts in embossing ink to the paper block using the "All My Love" stamp set. Cover them in gold glitter embossing powder, then heat set. Stitch two intersecting lines to the front using gold thread. 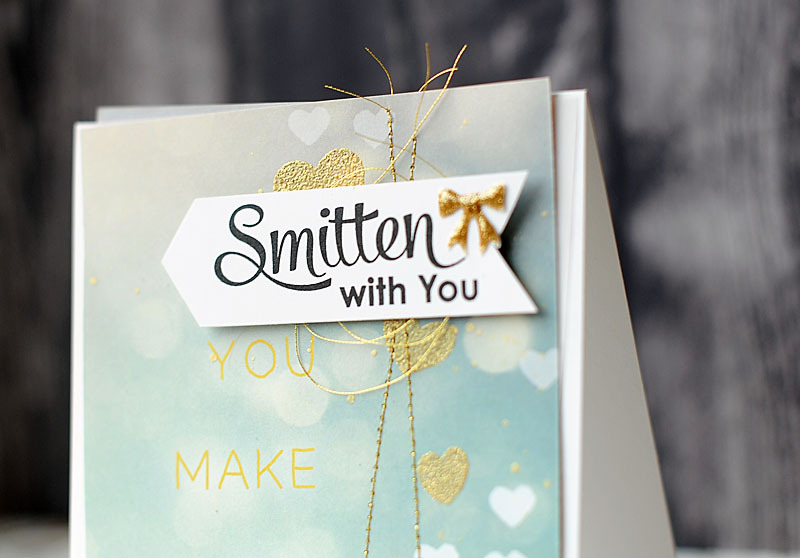 Stamp the sentiment to a white cardstock strip using the "Smitten With You" stamp set. Cut the edges to make the sentiment strip look like an arrow. 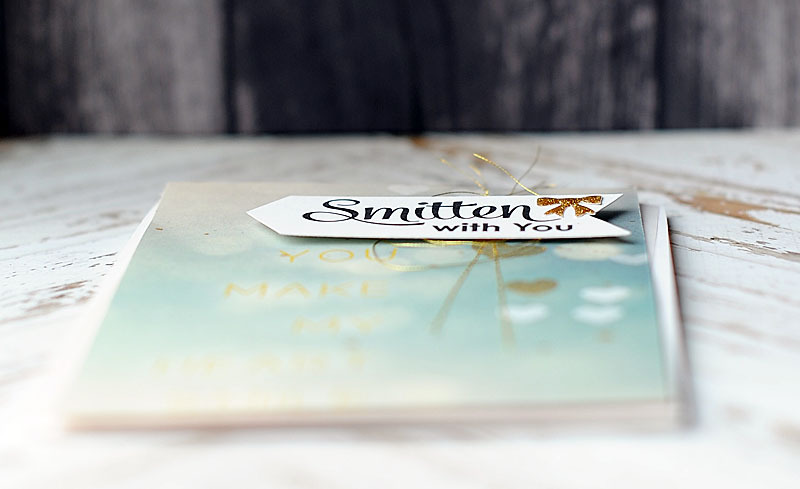 Layer the sentiment arrow with a knot of gold thread to the card front. Embellish it with a gold enamel bow to finish. For my next card, I went a bit more colorful & cheery! 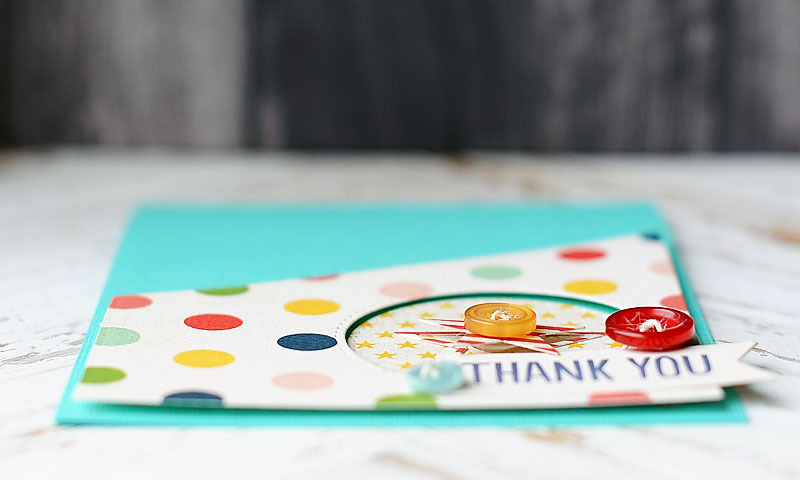 This fun Thank You card would be perfect for sending out after a birthday party. 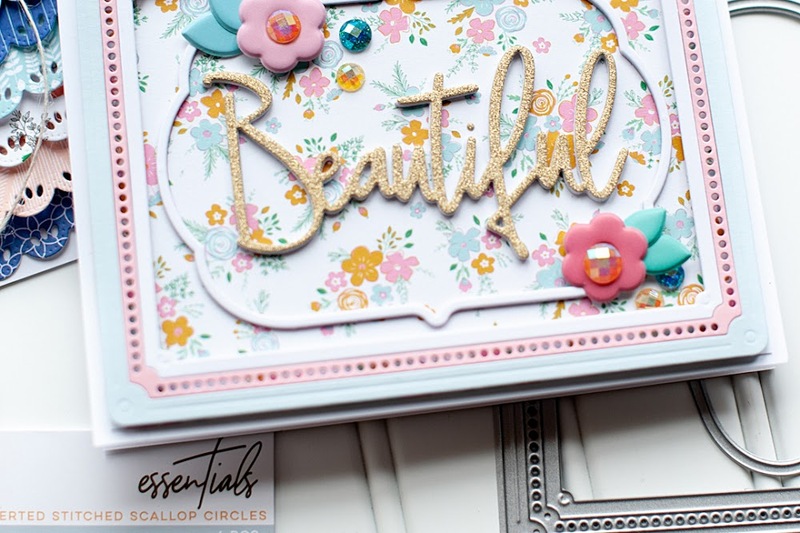 I've combined some Carta Bella papers with some MFT stamps & Dienamics to create this one! I just love the fun colors of this, and the MFT Dienamics made it so easy to put together!! 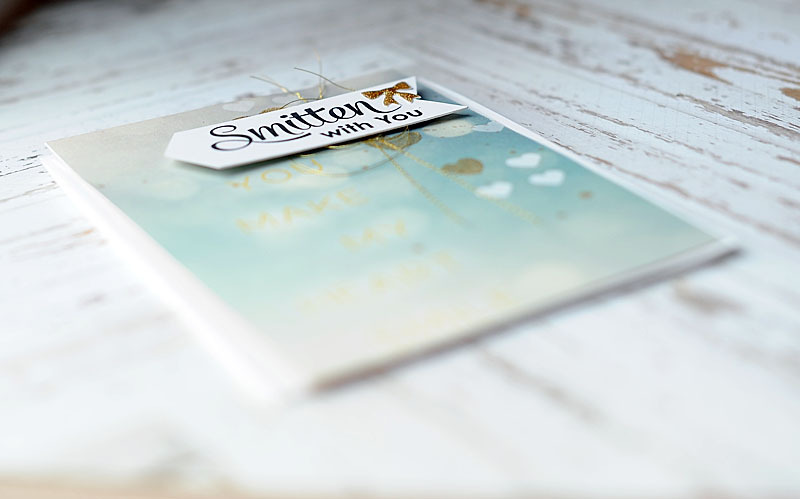 Make A2 card from aqua cardstock. 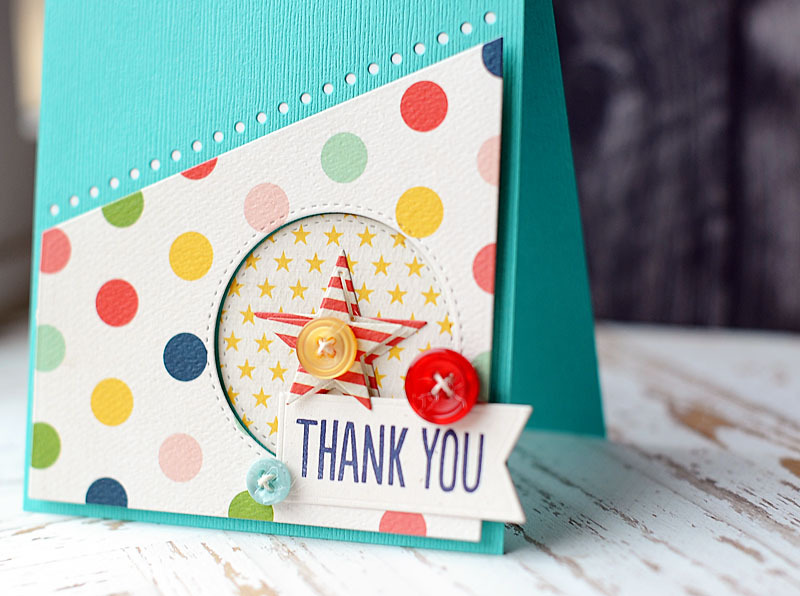 Diecut the angled paper block & peekaboo circle from polka dot paper using the MFT "Blueprints 18" Dienamics set. Diecut the circle border from the aqua cardbase using Blueprints 18. 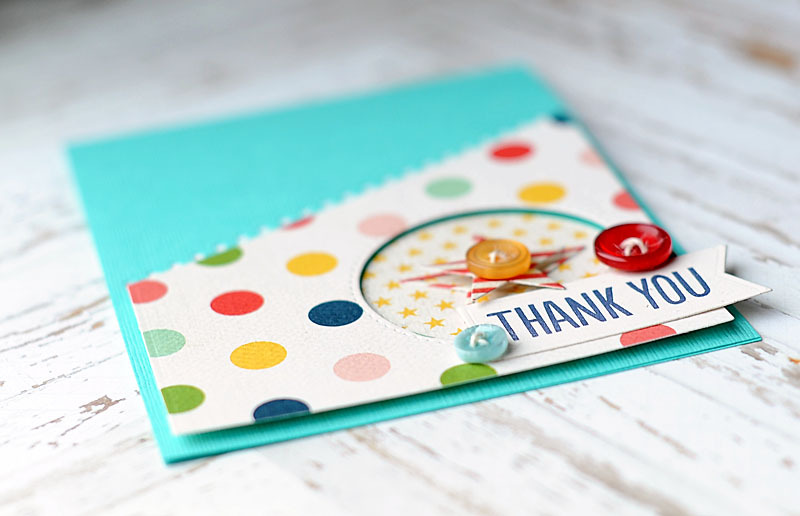 Adhere the polka dot paper block to the bottom of the card using foam dots. Diecut a circle from yellow star paper and a star from red striped paper using Blueprints 18 and adhere them inside the peekaboo circle. Diecut the banner from oatmeal cardstock using Blueprints 18. Stamp the sentiment to the banner using the "Photo Booth" stamp set. Adhere the sentiment banner to the lower right corner. Embellish with twine threaded buttons to finish. All of the MFT items I used have been linked in the instructions above...so be sure to check them out & pick them up if you so fancy! Thank you so much to my friends at MFT for giving me this opportunity to guest design! I appreciate it so much, and look forward to my next guest design post in February! Thanks for checking out my post today!! If you want to see sneak peeks of future projects & keep up with me on Facebook, please head on over & like the Lea Lawson Creates page!! And don't forget to become a follower in the right sidebar so you never miss a post. Have an awesome rest of your day!! Wonderful cards! Congrats on the guest spot!!! these are gorgeous!!! you rock! These are adorable!! Love the pretty gold with the aqua on the first card. The stitching is the perfect added touch!! I like the fun colors and the way you used the Blueprint dies on the second. I want that set!! Lovely designs on both!! THUD. Seriously. THUD. These are CRAZY awesome!